What sets apart an Instagram user with thousands of followers from a social media influencer? An influencer isn’t just popular, they’re powerful – they are a brand. According to Adweek, “marketers are doubling their investment in influencer marketing this year, with Instagram influencers alone accounting for more than $1 billion of marketing spend”. By having an established channel with immense social reach, an influencer attains the power to sway the attitudes, opinions and responses of the masses in its respective industry. 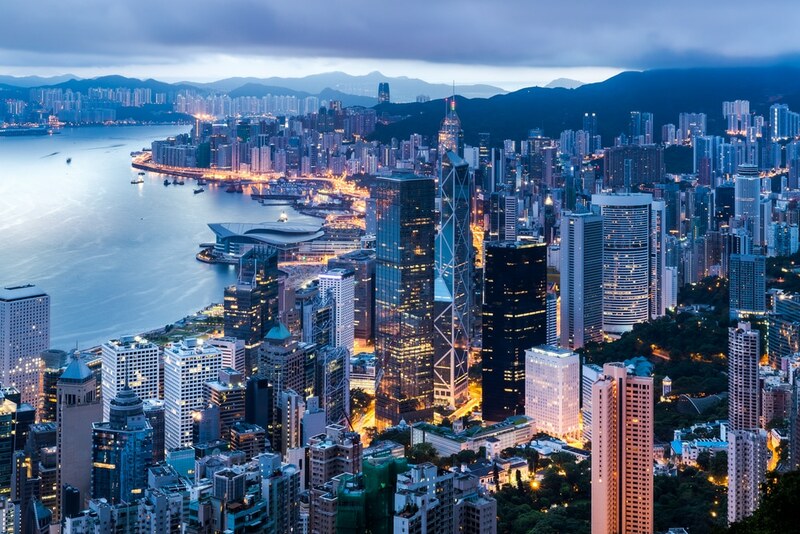 From encapsulating the unparalleled essence of Hong Kong to unveiling one person’s life throughout, here are 5 prominent social influencers taking Hong Kong social media by storm. 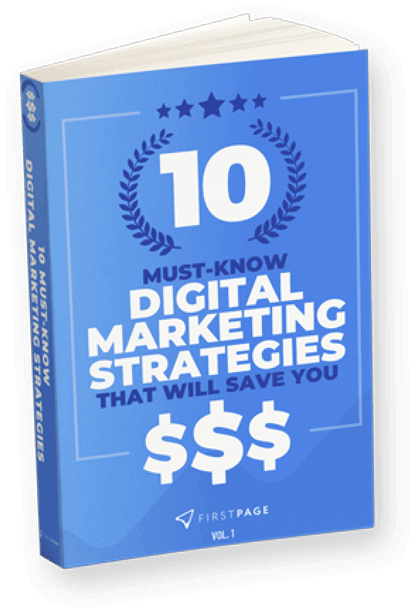 We’re sure they’ll help to inspire your very own digital footprint. Daniel Lau, the man who’s literally on top of the world, ventures across an extraordinary globe to unveil a striking sequence of impeccable views. When he’s not busy working as a personal trainer, he’s travelling to the utmost ends of Hong Kong to discover the best rooftops to climb. After each climb comes an astonishing photograph and of course, another follower to add to the artist’s 115,000 on Instagram. Just as @daniel__lau tells his audience to ‘follow the brightest star’, he puts his life on the line to do just that. Capturing life on the edge, Lau shoots Hong Kong from hidden heights at various times of day, embodying immense aerial skyscraper shots, luminous lights and picturesque portrayals of the metropolitan city’s incessant everyday life. Although, Lau’s no stranger behind the camera. He often captures himself amid the action, either through a stupendous selfie, full body shot or even sneaking his legs into the frame all while promoting his intrepid group ‘Exthetics’. Jonathan Cheung, Co-Founder of Buzz Agency is a modern-day connoisseur of all things luxe. Buzz Agency is one of Hong Kong’s most renowned public relations and marketing agencies, showcasing an enthralling fusion of fashion, lifestyle, and culture. Featured on Hong Kong Tatler’s ‘The 500 List’, Cheung, an undergraduate from New York’s distinguished Parsons School of Design, invites you to follow his charmed journey as a visionary; work, play and all the passion in between. Much like his life’s work, Cheung sure knows how to have a party. Whether gracing Milan Fashion Week, sailing the seas of Sorrento or skiing in Switzerland, Cheung always steps out in style and of course, takes a spirited snap to match! 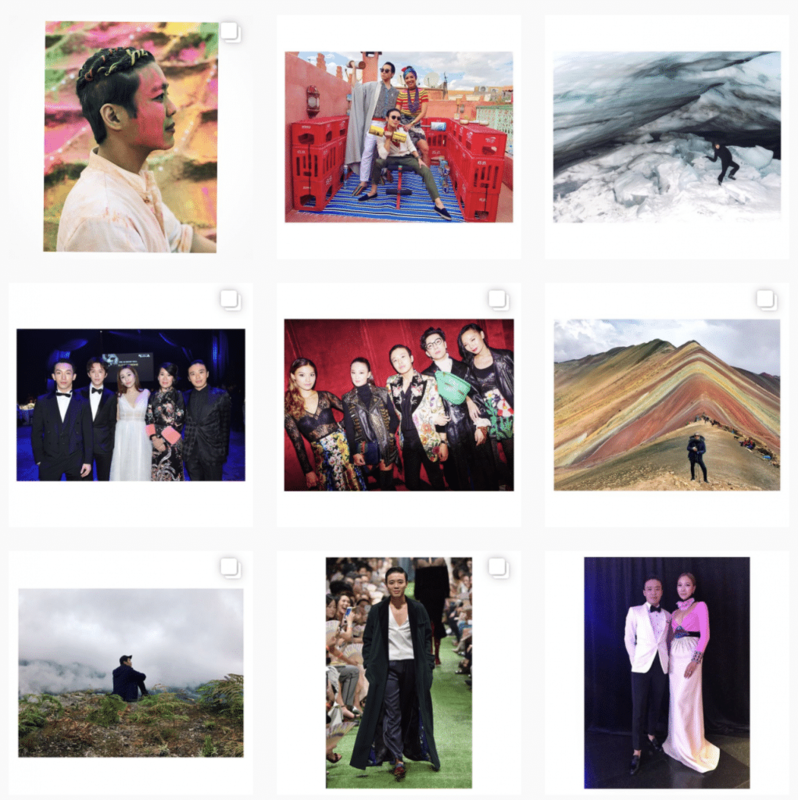 And his Instagram @jc_jonathancheung is a pure testament to that, whereby the metropolitan socialite proves that his life, in fact, imitates his art. 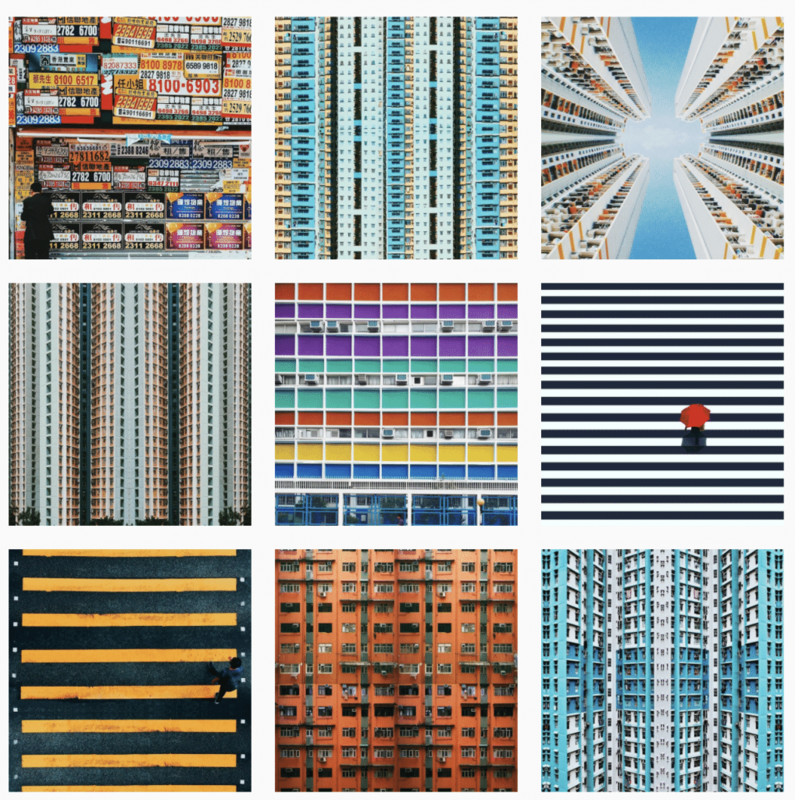 Globally revered as both an architect and photographer, Vivien Liu, Founder of Studio UNIT, displays her passion for Hong Kong’s urban density and structure through rose-coloured glasses. From bold cityscapes, striking geometric buildings, impeccable lines and mauve sunsets to the fashionable faces and frenzied streets of downtown, Liu continues to capture the city’s aesthetic in manifold form through her Instagram account @vdubl; a unique visual feast for wandering eyes. To add to a surplus of more than 230,000 followers, Liu, through Studio UNIT, has driven the design behind some of Hong Kong’s most prominent buildings, including the Tencent Binhai Mansion (OMA), Charter House Lobby (KPF) and Danen Capital. She has simultaneously attracted major clientele such as Nike, American Express, Samsung and Sony, to name a few. Liu’s incredibly powerful work remains a moving anecdote of how a passionate architect turned into a famous photographer, hereby declaring a passion for “the extreme contrast of natural and man-made, how a super high-density urban environment can be just minutes away from a forest”, which manifested her utmost success. Soft hues, crisp air, and everyday dwellers amid the metropolis gently intertwine with great cityscapes and iconic landmarks to reveal Jessamine B’s precious portrayal of life in Hong Kong. Born and raised in London, Jessamine B (@jesso) now resides in Hong Kong as a well-known lifestyle and travel blogger, penning her many interests via blog ‘Hello Jesso‘. Jessamine’s keen passion for ‘life in general’, art and crafts, photography and travel, seamlessly translates through her awe-inspiring Instagram, which boasts more than 70,000 followers. The blogger of Filipino descent uncovers a personal outlook into the very things that she enjoys most, while visually representing the geographical gems that make life worth living. Jessamine B offers many distinguished juxtapositions, such as the rush hour in Japan against the tranquility of Tianmen Mountain, welcoming you to chase her enticing travels. 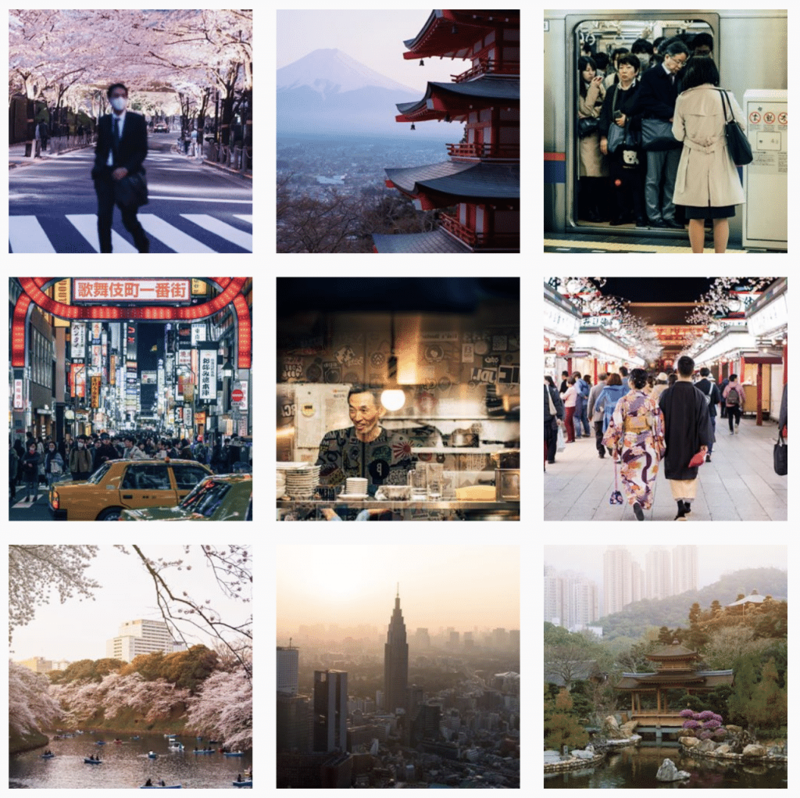 Graphic designer and photographer Kyle Yu is a master at framing visual compositions, which he presents through his phenomenal Instagram account @kyle_yu. 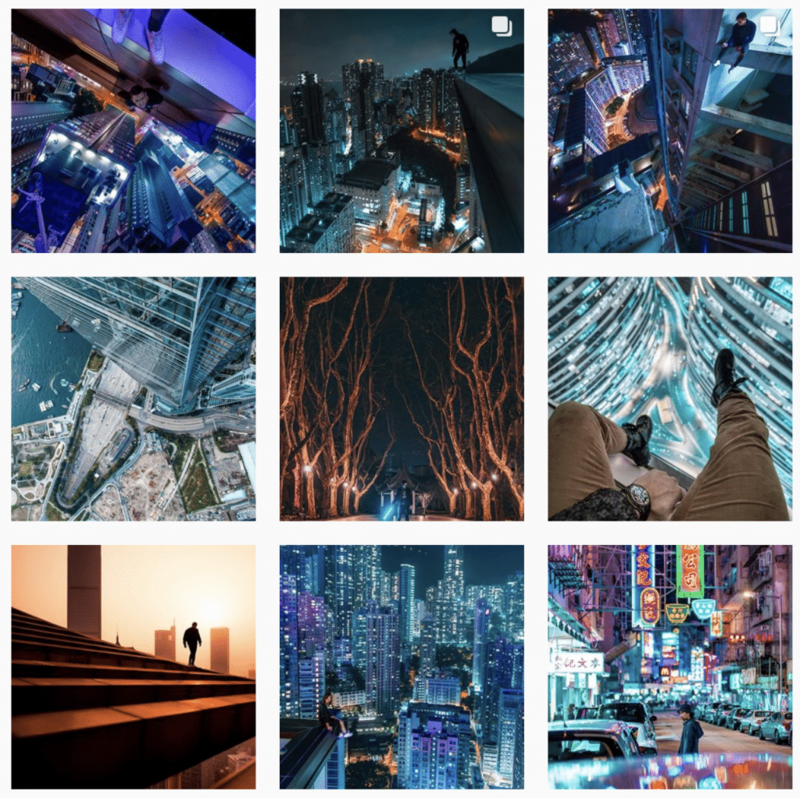 Born and living in Hong Kong, Yu, who currently has more than 84,000 followers, captures the city’s most remarkable buildings from his artistic eye. His portfolio includes a variety of state-of-the-art, retro and downtown buildings, geometric and patterned streets, bold lines and vivacious pops of colour. Recently featured on Passion Passport, Yu admits having mild “symmetry OCD”, which explains his flawless alignment of horizontal and vertical lines. Yu offers an exclusive look into the metropolitan city’s eminent infrastructure, while sometimes sneaking in its inhabitants. Feeling inspired? The time to make your mark starts now. 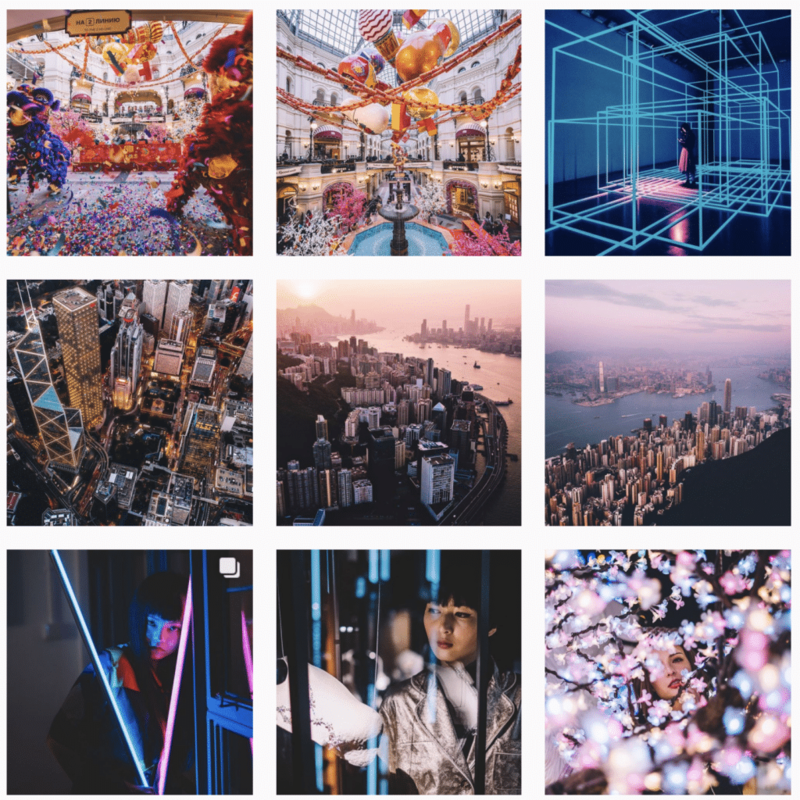 Peep our blog The Ultimate Guide to Instagram for Businesses: Part #1 for how to get started, or check out 4 Popular Marketing Design Trends to improve your strategy. 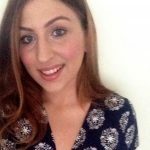 Just Loved your blog post. Awesome!. Looking forward to reading your experience.